Here's a quick summer treat you can make with your kids. 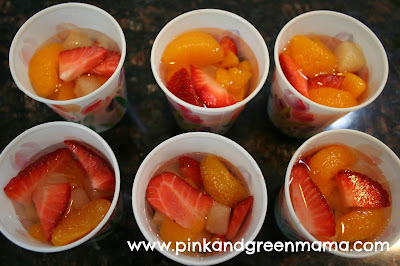 The girls love to "cook" in the kitchen with mom during summer break. We've been making homemade bread, cookies, dips, soups, and treats. 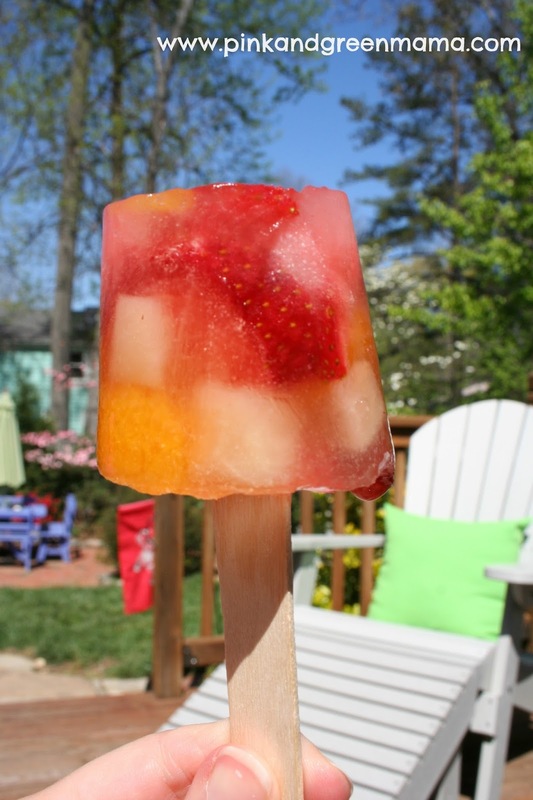 My girls love to make homemade popsicles. the girls take pride in them because they made them! 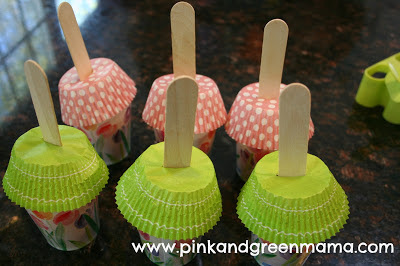 cupcake wrappers and wooden popsicle sticks. 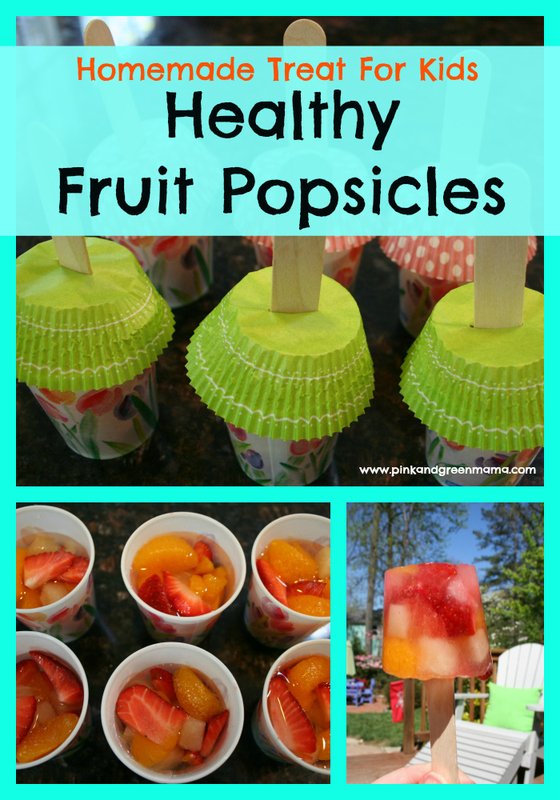 We add fruit as a fun treat - any kind will do. 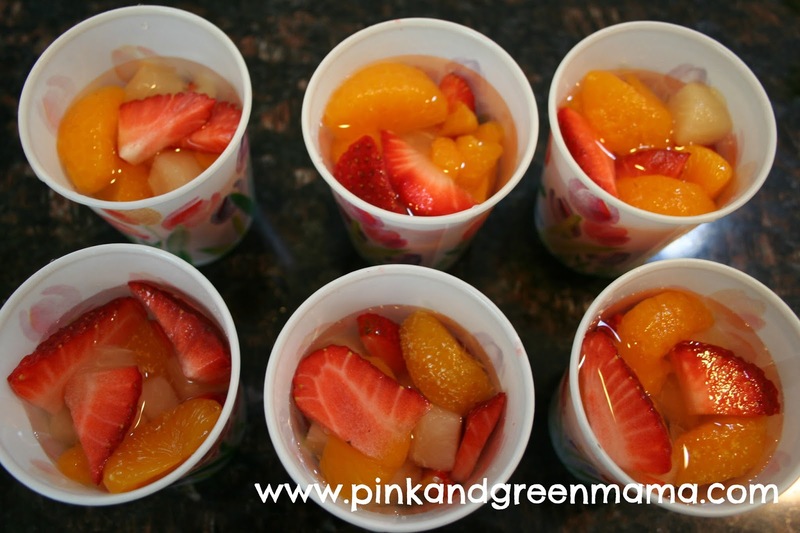 diced pears, watermelon cubes, melon, etc. white grape juice, cranberry juice, and orange juice the best. Sometimes we use lemonade. We haven't tried coconut milk yet -- I want to try chocolate almond milk with bananas next! sometimes it's easier if you make a small snip with scissors first. The wrappers keep the sticks from tipping and they help catch drips later! Just set them in freezer until they set up. them right out. We eat ours in the backyard so we don't get sticky floors! Nothing fancy, we're keeping it simple around here.